The B&B L’Albero dei Limoni is a private home of about 400 msq. Built at the begininig of the 19th century, it has been completly refurbushed in 2010, maintaining the unique characteristics of Sardinian buildings. The 70 cm thick walls made of arenaria stones mantain a constant ambient temperature of 20/25 degrees celcius. For the comfort of our guests, 4 large double bedrooms have been created with taste and attention to detail, all of which are provided with a TV, en-suite facilities or private bathrooms, however, we can still comfortably accomodated upto three people in the same room at your request. A fully equipped kitchen with open plan living space which leads onto our shaded courtyard, with a built in barbeque and original ‘Forno Sardo’, is at your disposal for a fun night in with friends. 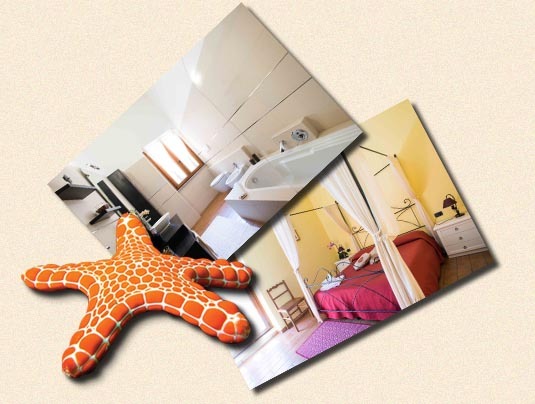 The B&B L’Albero dei Limoni is the ideal place to spend a relaxing holiday with the personal touch of a family home.